Finally - a guide to cytological techniques written specifically for the plant chromosome researcher and student. Plant Chromosomes: Laboratory Methods thoroughly covers all important approaches to the study of plant chromosomes. It reviews each specific approach and describes requisite experimental techniques. These practical descriptions cover basic, standard techniques as well as the most recent research advances and state-of-the-art technologies. 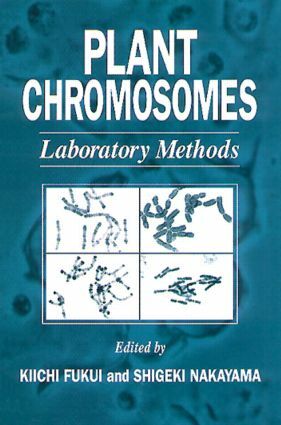 Plant Chromosomes: Laboratory Methods allows you to build on the knowledge of its expert authors, who have first-hand experience with the ins and outs of each approach. Through hundreds of trouble-shooting suggestions it also helps you avoid experimental pitfalls by providing invaluable tips at critical points in the experimental process. This book gives you the information you need to improve the power of your plant chromosome research - saving you time and effort in the process. No other single volume contains so much practical information on this topic.